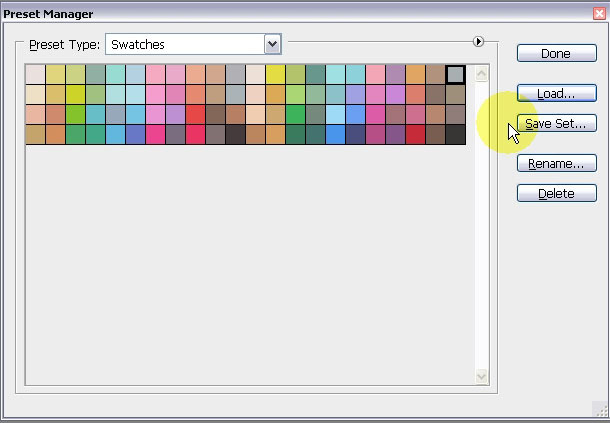 In order to show a palette in your workspace, go to the “Window” menu, then choose the palette you want to display, in this case, the “Swatches” palette. 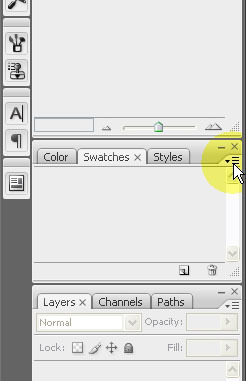 Now, go to the top right of the palette, where a small “menu arrow” is, and click that arrow to open the menu. 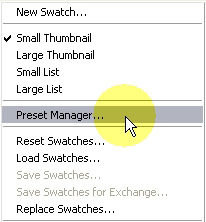 This will open the “Preset Manager” dialog box, where you can manage your palettes. 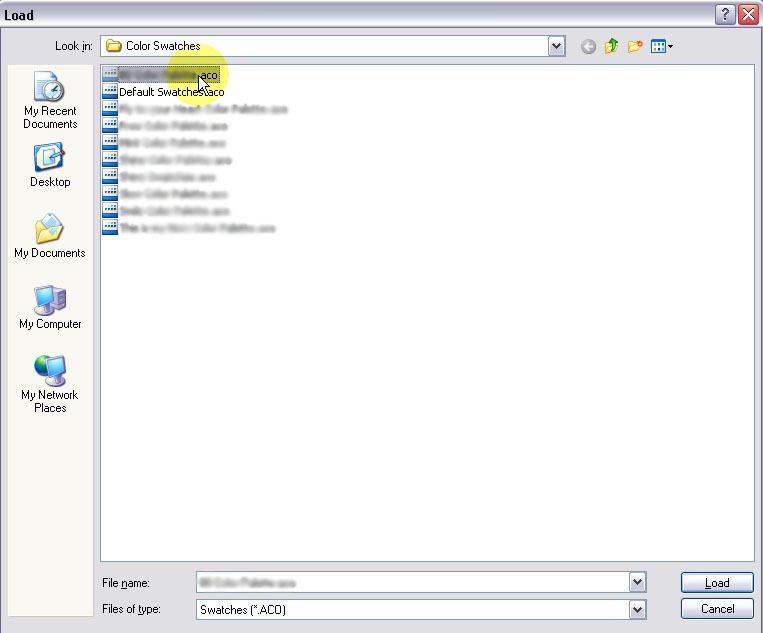 Click on “Load” button to load a palette. 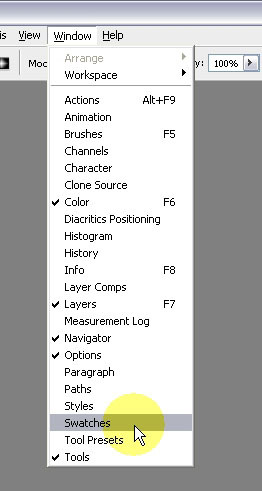 Brows for the location of the palette, and once you find it select it and click “Load”. 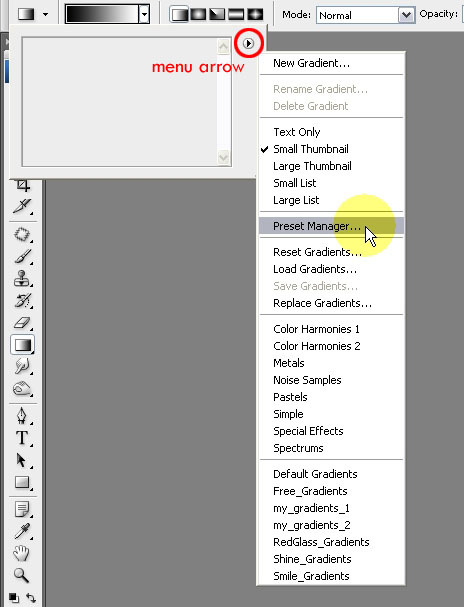 Now, as your palette is loaded, you can select one or more of its components, in this case “colors”, save them “Save Set”, “Rename” them, or “Delete” them. You can also change their order by dragging and dropping them into different places. Once finished, click “Done” to go back to the main window. 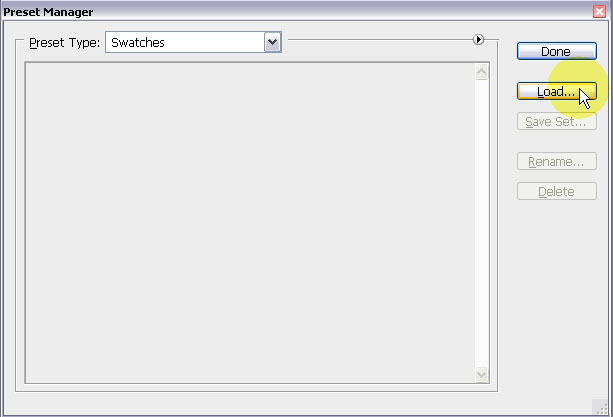 The same steps apply for other presets, and to those that appear at the top of the window also.